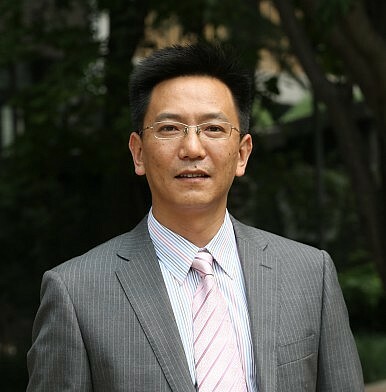 XIE Tao is professor of political science at the School of English and International Studies, Beijing Foreign Studies University. He holds a PhD in political science from Northwestern University (2007). His current research focuses on Chinese foreign policy and U.S.-China relations. He is the author of U.S.-China Relations: China Policy on Capitol Hill (Routledge 2009) and Living with the Dragon: How the American Public Views the Rise of China (with Benjamin I. Page, Columbia University Press, 2010). He has also published several articles in the Journal of Contemporary China, including “What Affects China’s National Image? A Cross-national Study of Public Opinion” (September 2013). He is a frequent guest at CCTV News, BBC, CNN, Al Jazeera, and China Radio International. Trump is acting in line with a growing consensus in Washington: it's time to get tough on China. Putting Trump's visit in the context of broader U.S.-China relations. Whither Australia and its relations with China? China in Africa: What's the Real Story? Perceptions of China's role on the continent depend on who's telling the stories. How Did Myanmar’s Reforms Change Its Relations With China? Public opinion in Myanmar has turned increasingly negative toward China. Different interpretations of history showcase hidden tensions in the China-Vietnam relationship. How Will President Trump Deal With China? It's almost impossible to predict how Trump will approach the world's most important bilateral relationship. The rise of Donald Trump and Bernie Sanders signal a seachange in American identity. "China is also witnessing a new wave of anti-intellectualism that is unprecedented in its scope and intensity." Conspiracy theories about their rival's devious plans have alarmingly large followings in the U.S. and China. What has gone wrong in the "Pearl of the Orient"? China's own nuclear history helps illuminate the motives behind North Korea's current behavior. Is China's 'Belt and Road' a Strategy? Can U.S. claims to global leadership exist alongside China's dream of national rejuvenation? China has the tools of global power, but not the willingness to use them.